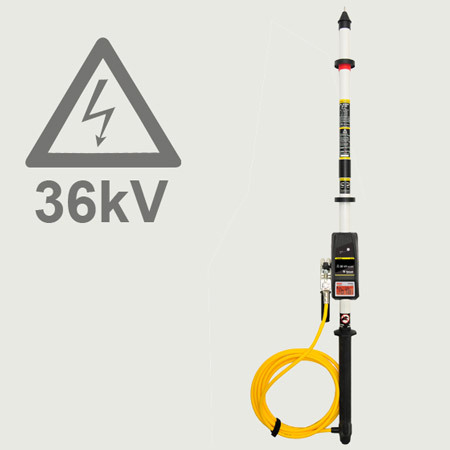 Two-pole high voltage testers for DC and AC voltage up to 36 000 V. Variable extendable telescopic versions for overhead lines up to 8 m in height. Compact and divisible versions for easy transport. 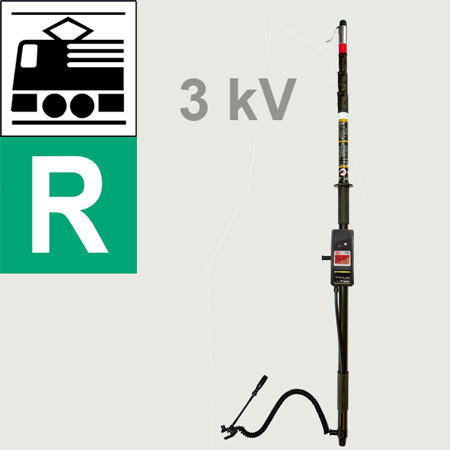 Compact two-pole high voltage tester. Flexible and quickly in use. Compact design, ideal for tight switchgear. 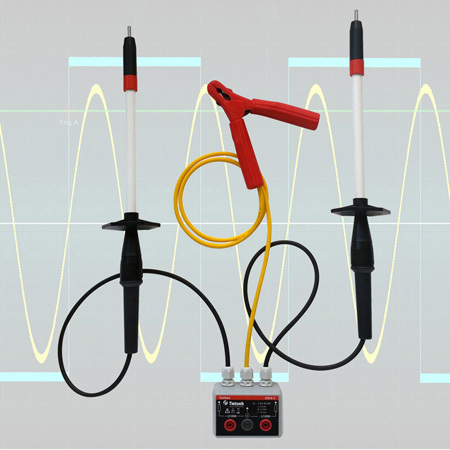 Two-pole high voltage tester ideal for testing in intermediate circuits of converters, high-voltage fields and feeders of traffic systems. for oscilloscopes and other measuring equipment at high-energy voltages. 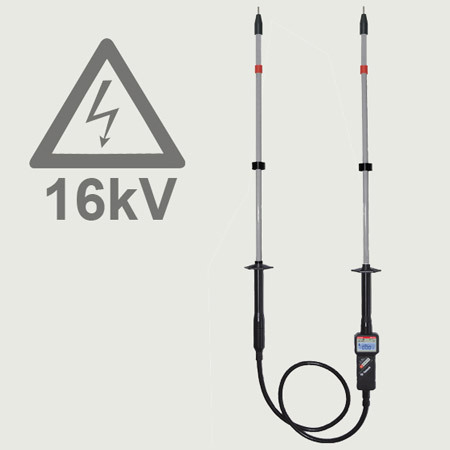 Two-pole Telescopic Voltage Tester ideal for testing on overhead lines of traffic systems. Telescope freely lockable up to 10 m test height. 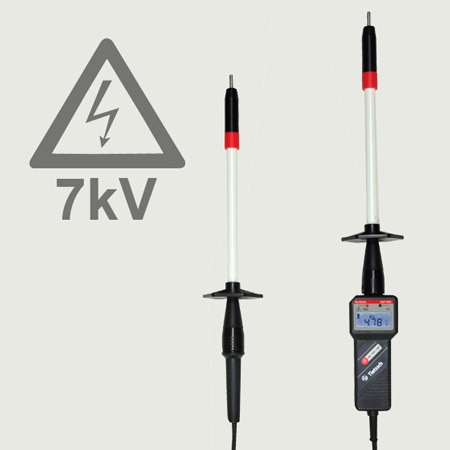 Two-pole high voltage tester ideal for testing overhead lines of traffic systems. 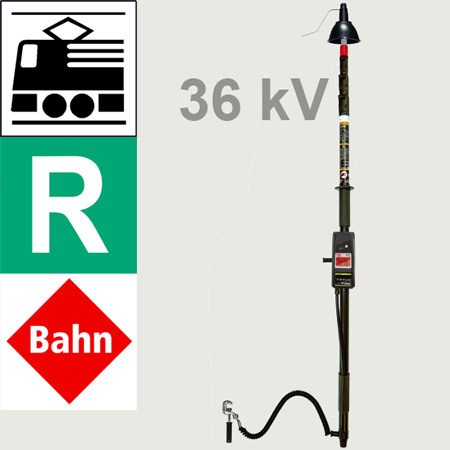 Test height variable up to 10 m.